Leather USB flash drive holder is designed to help protect your data on the go. Snap closure will hold your memory stick securely in this USA made case. 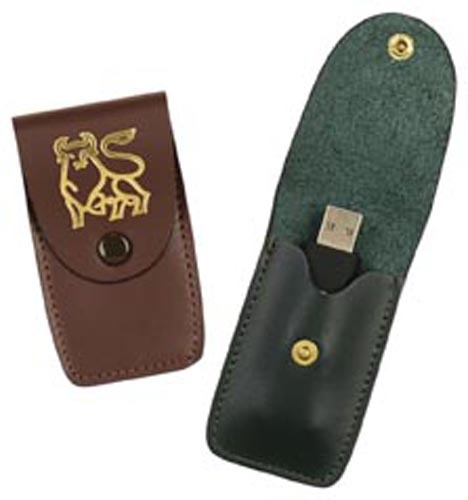 Soft Full Grain Leather USB flash drive holder is designed to help protect your data on the go. Snap closure will hold your memory stick securely in this USA made case.